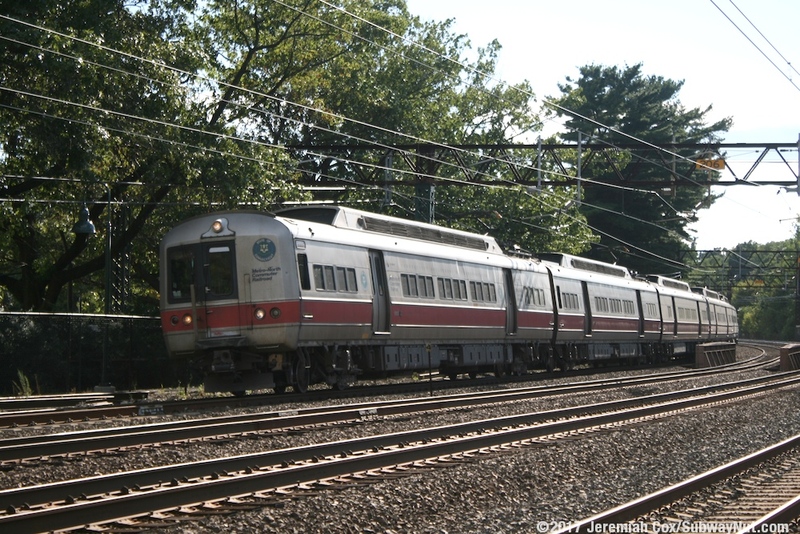 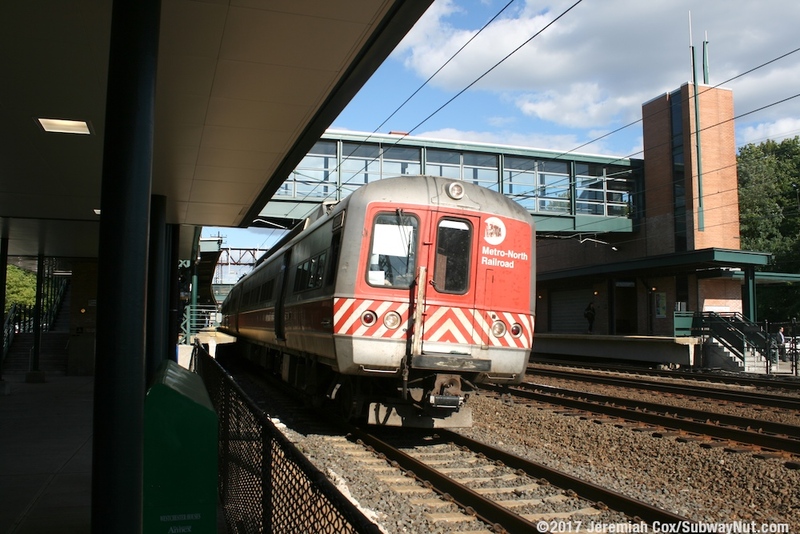 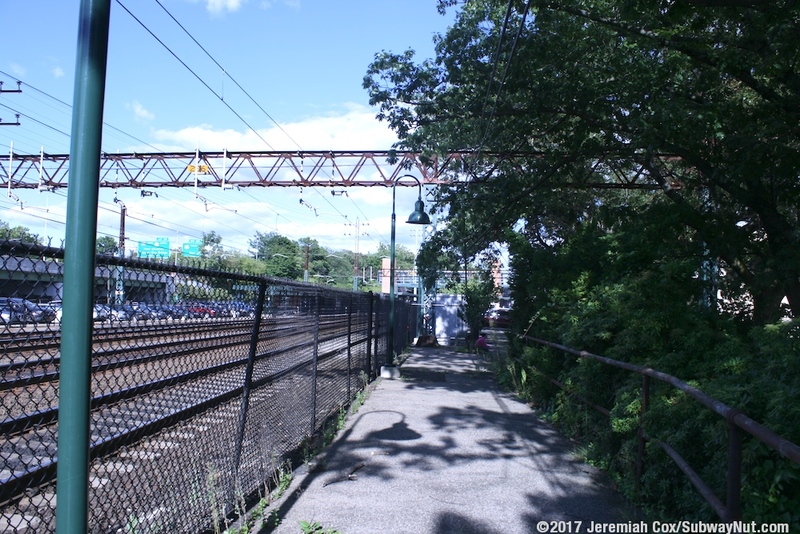 Rye is a Metro-North station that has a station house built in the 1950s when the New England Throughway, I-95 was built directly east of the station area along the former New York, Westchester, and Boston Railroad ROW that terminated in Rye between 1927 and 1937. 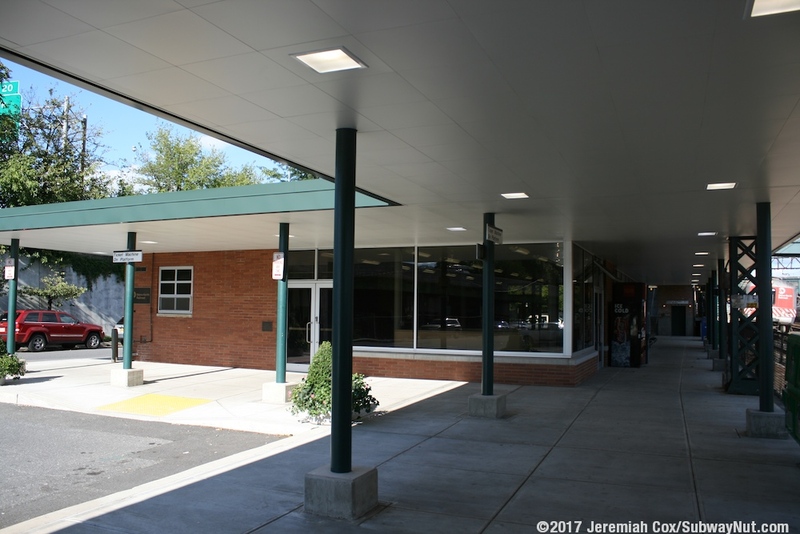 The depot was designed by modernist architect Marcel Breuer, with a ceramic mosaic installed along the upper walls beyond of the station house during 2011 renovations. 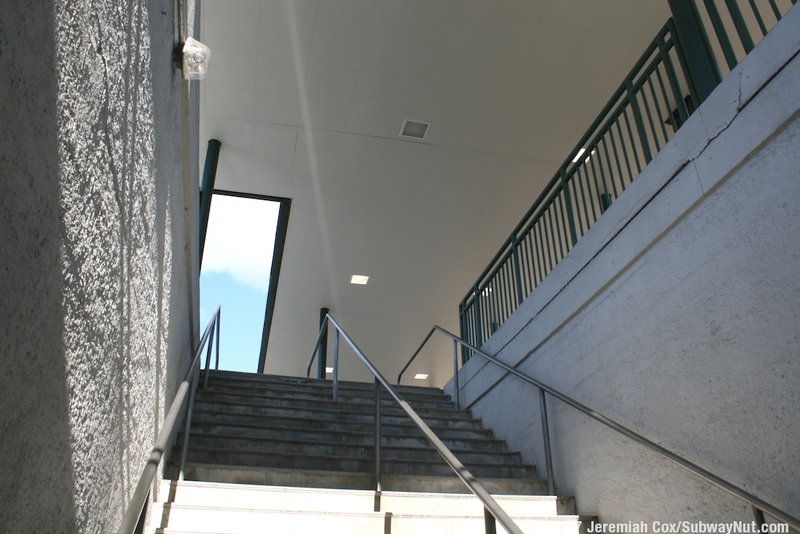 This mosaic is Untitled by Matt Mullican inspired by Mr. Breuer's architecture. 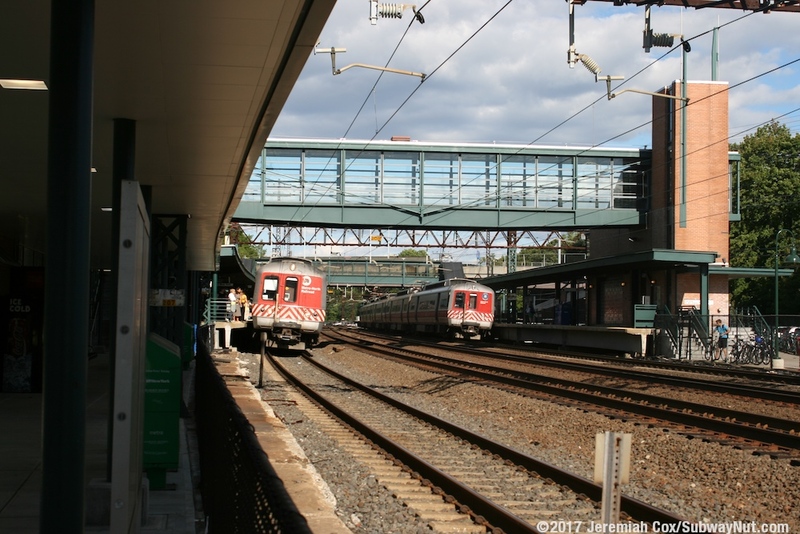 This modern station house was built before high-level platforms were needed for the new Cosmopolitan cars in the 1970s, and is located just west of current station area, with a canopy attached to the former low-level platform area. 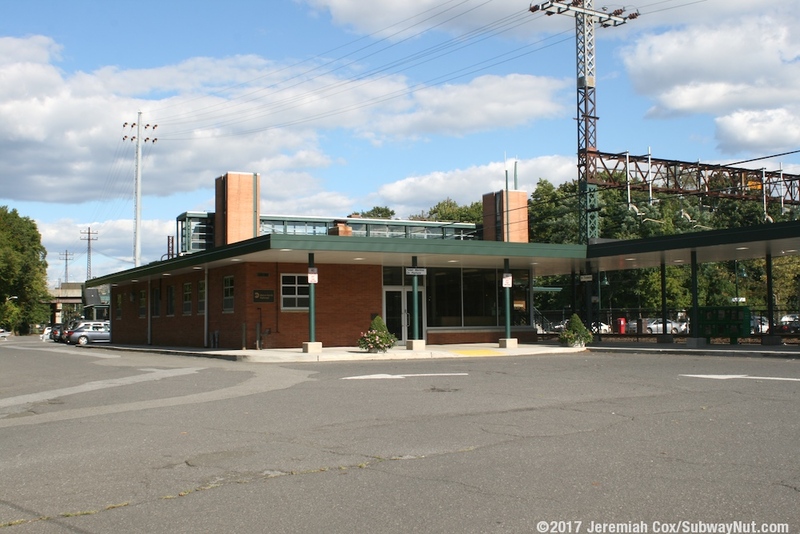 The station house contains a waiting room with wire benches with a ticket office (there are two ticket windows in the station) open for one weekday morning shift. 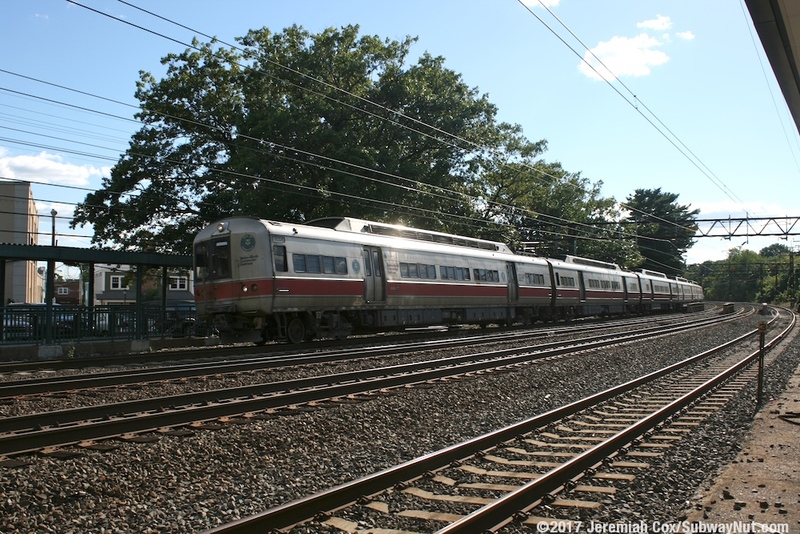 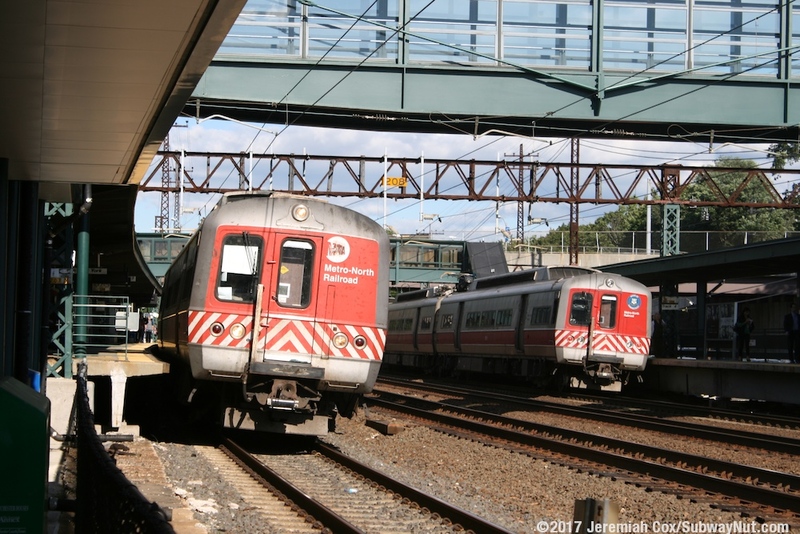 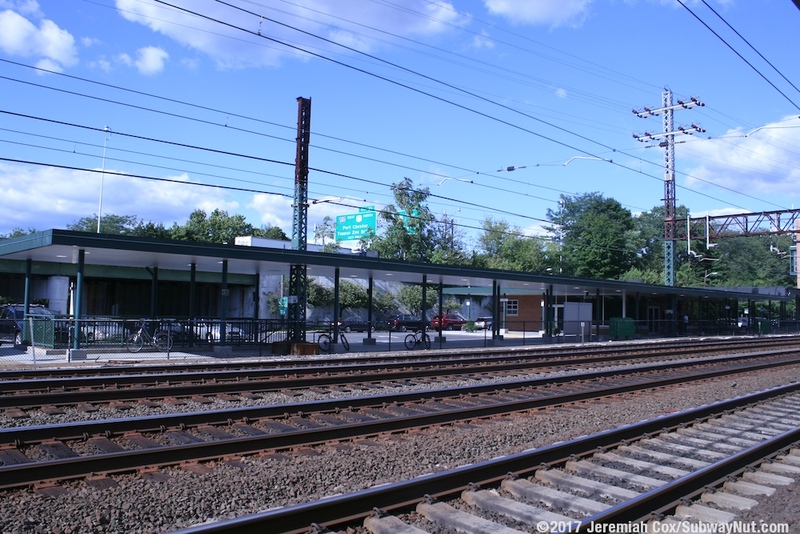 Amtrak (and predecessor long distance New Haven Railroad Trains) served the station until 1987 when the Westchester station was moved to New Rochelle, which saves long distance trains needing to switch over to the two side platforms. 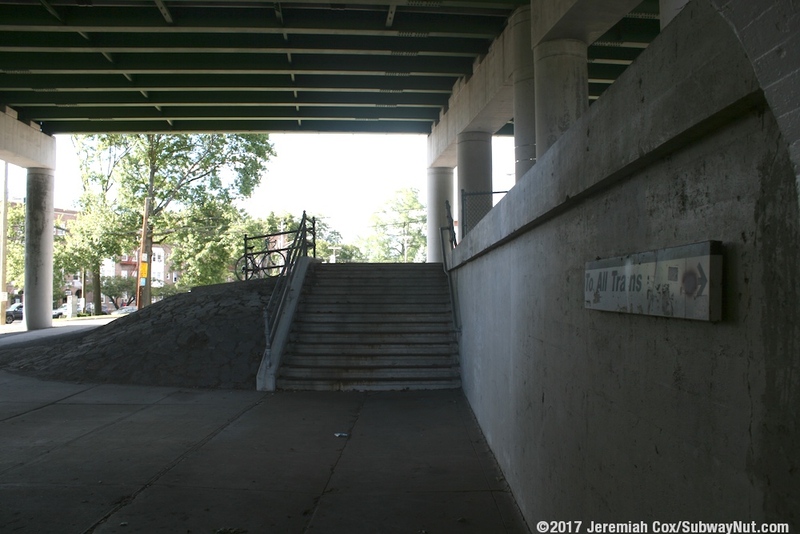 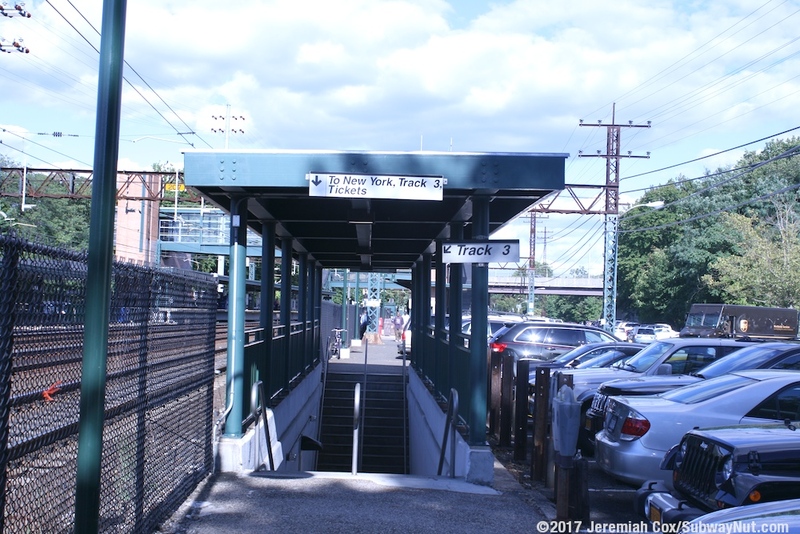 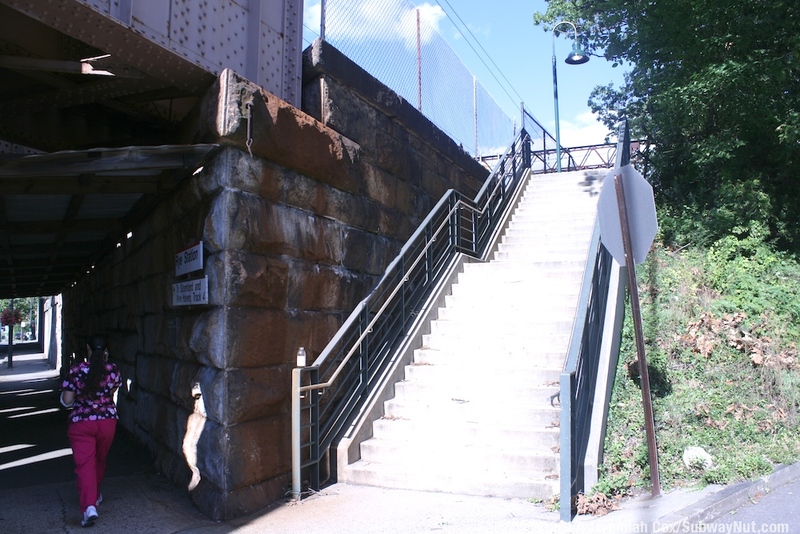 The station area begins at the underpass of Purchase Street with a staircase leading up the western end of the Connecticut-bound former low-level platform area. 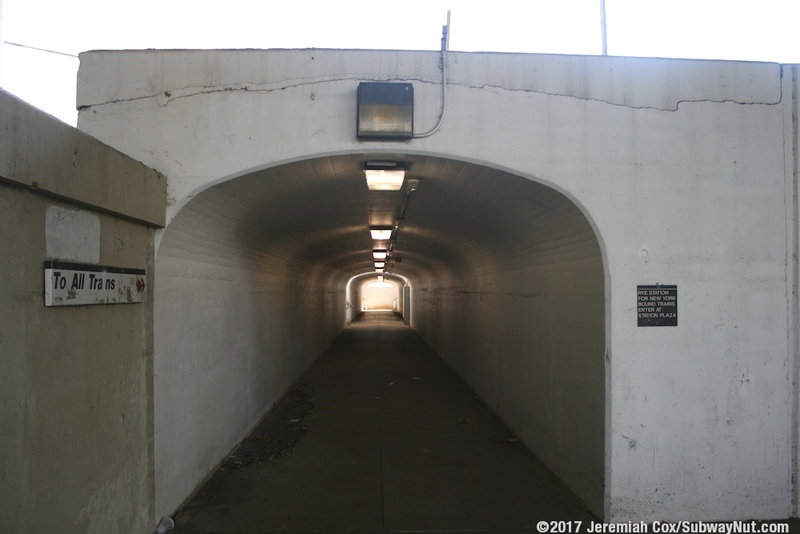 Next there is the original (probably dating back to the pre-New England Thruway days) pedestrian tunnel connecting the station house (with a single staircase) to the Connecticut-bound side of the station, which is along station plaza and a shopping district. 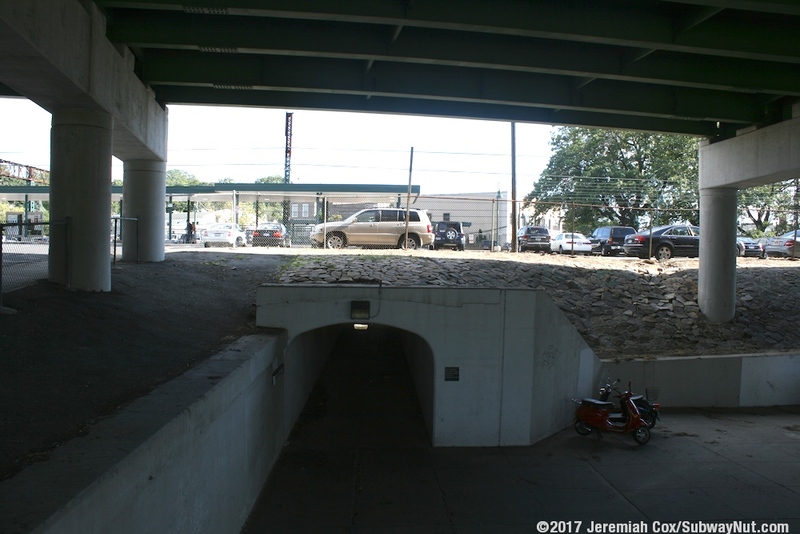 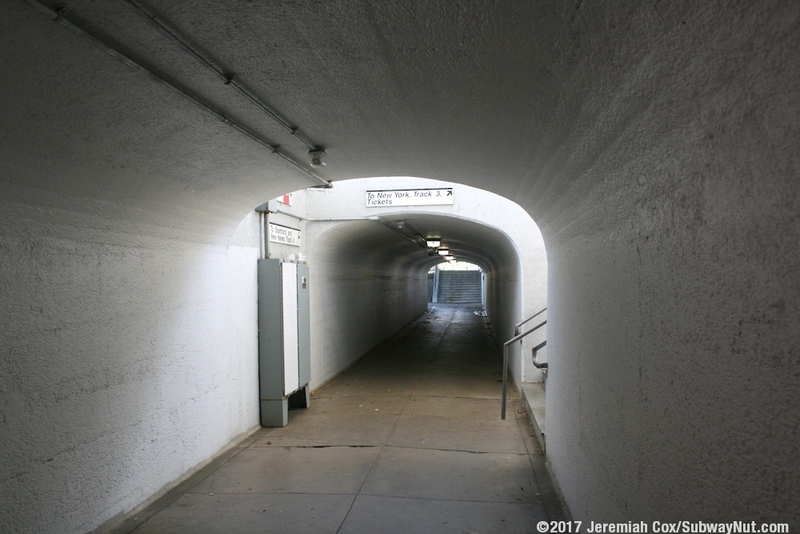 The pedestrian tunnel continues beneath the parking lot (and the former New York, Westchester, and Boston Railway terminus) to a portal (no additional steps) out towards a secondary parking lot at a lower elevation than the main station and Cedar Street beneath the New England Throughway. 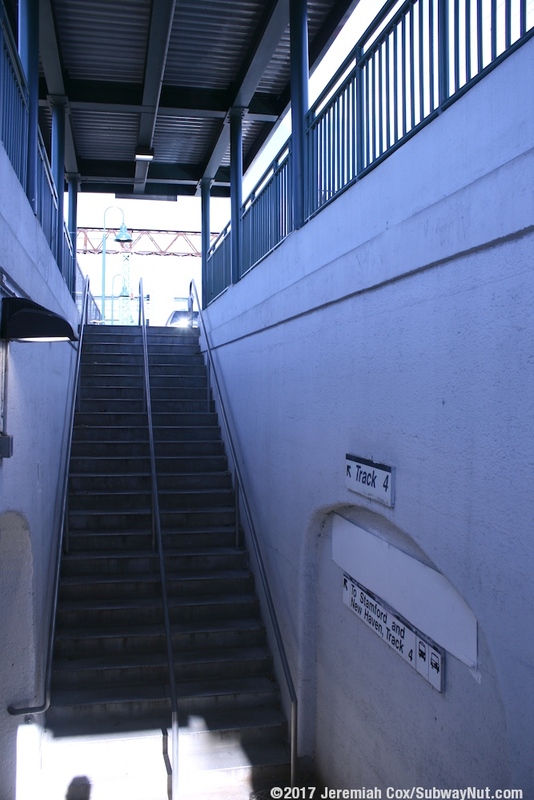 Beyond the former station area, the modern high-level station begins just beyond the historic depot with the main pedestrian bridge, this bridge has brick beneath the staircase and elevators up to each end of the bridge. 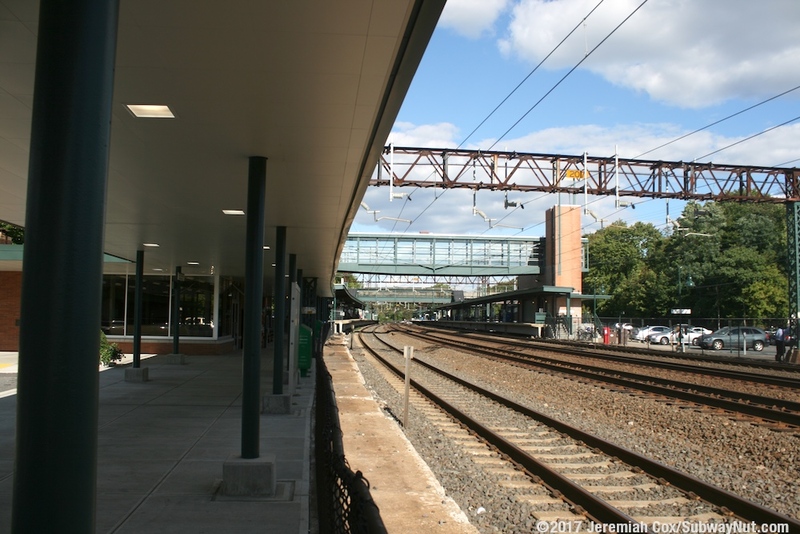 The bridge itself is fully enclosed with glass walls. 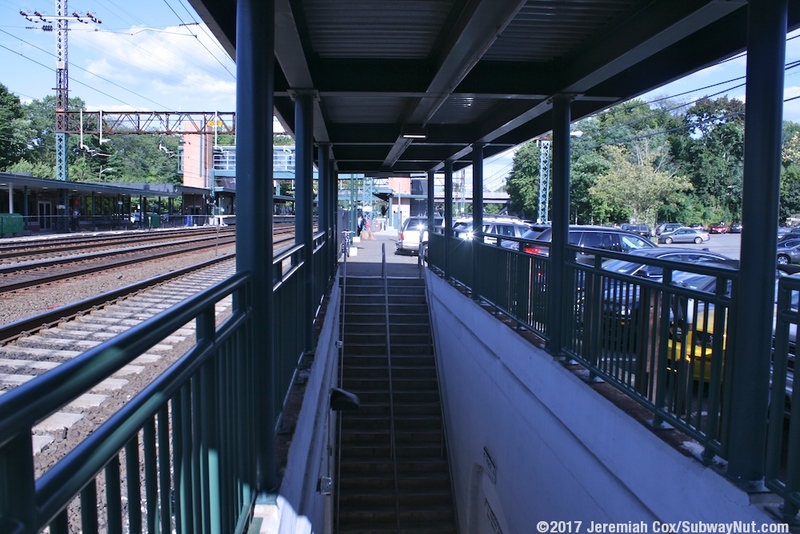 The platforms are canopied from here for there first 300 feet before there is another enclosed pedestrian bridge with just a staircase down to each platform. 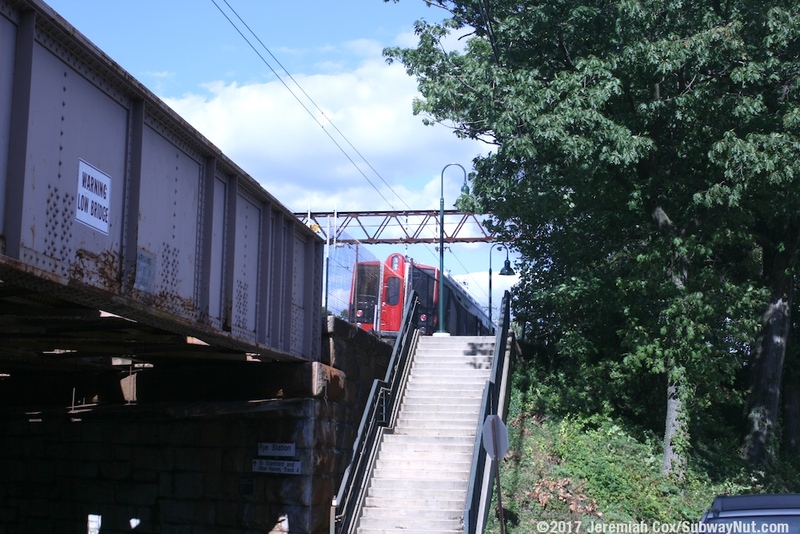 The platforms continue (exposed) beneath a bridge of Boston Post Road that leads to a partial interchange with the New England Throughway (I-95), and a partial interchange with the Cross-Westchester Expressway (I-287) and continue northeast before ending.